Q: What is the purpose of the National Pollutant Discharge Elimination System (NPDES) General Permit Rule Program as it pertains to Rule 6 – Storm Water Discharges Exposed to Industrial Activity? A: The purpose of 327 IAC 15-6 is to permit storm water discharges that are associated with exposed industrial activities. Permitting requires management of the facility operations through a storm water pollution prevention plan (SWP3) and annual sampling of all outfalls. Additional requirements for compliance with the Rule are contained in 327 IAC 15-6. Q: Does this Rule apply to municipally-owned airports? If so, are there any activities/processes (e.g., fueling, deicing) that occur at airports that are of particular concern? 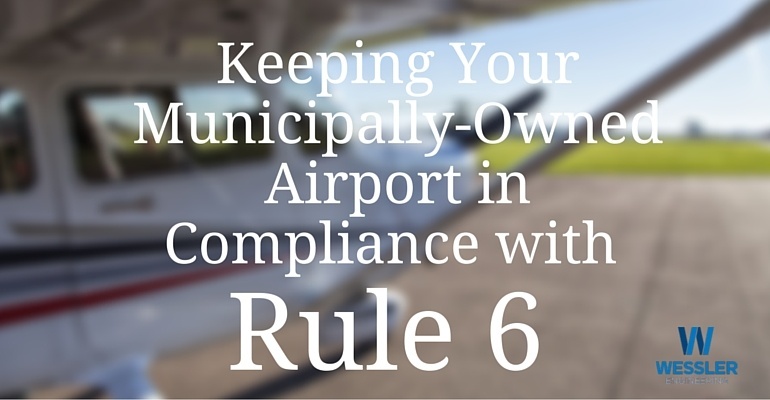 A: Yes, the Rule does apply to municipal and county airports in addition to private airports. Although several airports may also be permitted under 327 IAC 15-13 (MS4), a separate permit is required to address industrial discharges. The primary issues that are significant are fueling, deicing planes, and the application of deicing for runways. If deicing does not occur at the airport, a general permit may be issued. However, based on the type of deicing and management of the deicing operations at the airport, IDEM may require an individual permit which will be issued through the IDEM, Permits (wastewater) Section. If deicing will be part of airport operations, it is critical that the applicant/permittee contact IDEM to determine if the activity may be covered under the Rule 6 General Permit or an individual permit will be required. Q: What monitoring requirements are included with Rule 6? If annual sampling of storm water is a condition of Rule 6, what parameters should be tested for? A: Permittees must sample for the eight (8) basic items listed in 327 IAC 15-6. In addition, the permittee is required to identify other potential pollutants that may be attributable to a facility's industrial activity that are reasonably expected to be present in storm water discharges and include those along with the required eight as part of their sampling program. In addition, IDEM may require sampling for additional parameters and more frequent sampling based on activities at the airport. Q: What are some example practices that should be included in a SWPPP for an airport facility? A: All plans should include basic good housekeeping measures. In addition, the discharge of deicing agents should be managed. For example, plane deicing agents should typically be captured and taken off-site to be processed. Deicing agents associated with runways can be more difficult to manage, but should also be managed. The use and any discharge of deicing agents may prompt the agency to require the facility to obtain an individual permit. Q: If an airport originally received a conditional no exposure exclusion from storm water permitting under section 12 of this Rule, is this determination permanent? A: No, a status of No Exposure must be reevaluated every five years and renewed if it continues to be applicable. To ensure compliance, if at any time during the five year period, the airport does not qualify for no exposure, the representatives of the airport are required to return the facility back to a no exposure status or apply for a general permit under 327 IAC 15-6.